It’s safe to say Bong Joon-ho has never repeated himself, but if you absolutely had to divide his filmography into distinct hemispheres, you could justify labelling one basket “gritty murder mysteries in small towns” and another “high-concept, possibly involving a giant monster”. So kick your evening off with Memories of Murder, which we’ll reductively but usefully describe as the South Korean Zodiac. Inspired by the country’s first recorded serial killer, the film follows a local detective partnered with a city detective, and digs into the processes and mistakes the pair makes as they try to catch the killer. Not afraid of overselling this one: it’s easily one of the best modern police procedurals you’re likely to see. Once you’ve seen that, follow it up with Okja, The fantasy-action film follows a young girl who runs away to save the life of her beloved gigantic pig, falling in with a group of animal liberationists as they try to rescue the genetically engineered creature from the ominous Mirando Corporation. Beloved by audiences and critics, the film was nominated for a Palme d’Or at last year’s Cannes Film Festival, and is available right this second on Netflix. Substitutions: If you can’t get or have already seen Memories of Murder, seek out Mother (2009). When her son is accused of a terrible murder, a woman who sells medicinal herbs sets about trying to prove his innocence, becoming increasingly forceful as she finds herself blocked at every turn. If you can’t get or have already seen Okja, get your hands on Snowpiercer (2013), which is also on Netflix, and also features a perfectly over-the-top Tilda Swinton performance. Our world has frozen over, and all that’s left of humanity resides in a super train that travels the world. The rich and powerful reside at the front, and the poor and destitute are kept at the back, at least until a group from the rear of the train decide it’s time to mount a revolution, and begin an odyssey through the microcosmic societies that have formed down the carriage line. The Hidden Gem: Want to see something off the beaten path, a title rarely mentioned when people talk about the films of Bong Joon-ho? Then you should track down Barking Dogs Never Bite (2000). Bong’s first film foreshadows a lifelong preoccupation with idiosyncratic characters, his fascination with the relationship between humans and animals, and a tendency to lean on unexpected musical cues and styles. If you’re a fan of Bong, this is an essential and little-seen piece of the puzzle. The next episode of Hell Is For Hyphenates, featuring Abe Forsythe talking the films of Bong Joon-ho, will be released on 31 May 2018. 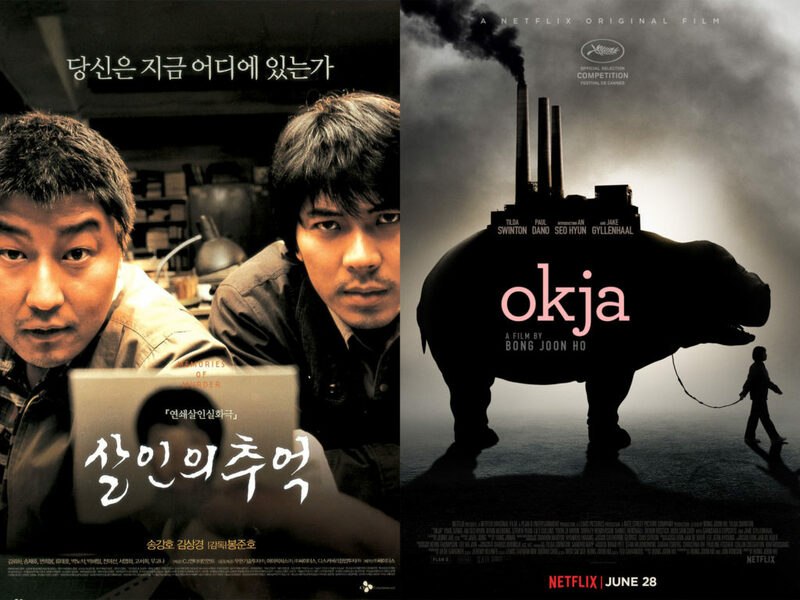 This entry was posted in blogs and tagged abe forsythe, barking dogs never bite, bong joon-ho, cheat sheet, memories of murder, mother, okja, snowpiercer on May 25, 2018 by The Hyphenates.